There are several considerations when it comes to selecting eco-friendly flooring. Flooring that has a long life cycle is good for the environment because you do not have to replace it frequently, so resources are saved. Flooring that is salvaged, reclaimed, or sustainably sourced is eco-friendly because it is obtained by means that do not directly cause harm to the environment. Installation materials, padding, and any other materials used should also be considered for their eco-friendliness. Doing a little research before selecting your flooring can mitigate the impact on the environment in a big way. You may also save yourself money and ensure a healthier home for yourself and your family, too. FSC Certified wood flooring is flooring that has been harvested in a sustainable manner. NSF 140 is flooring certification for carpet sustainability. There are also USA EPA ratings and Underwriters Laboratories Environmental Claim Validations that speak to the recycled content and sustainability of flooring. When in doubt, ask your local flooring store about which products have been certified as environmentally friendly. Flooring that is produced locally is automatically better for the environment because it doesn’t have to be transported from far distances. This saves fossil fuels and protects the environment from the emissions that would otherwise be expelled into the air during transport. When you purchase flooring that is produced locally, you also support your community, which may be a priority. 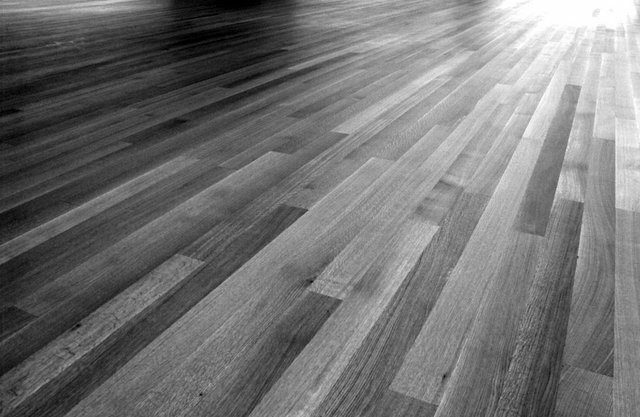 It might be difficult to find flooring that is both sustainably sourced and produced locally, so it may be necessary to trade one for the other when making a selection. VOCs, or volatile organic compounds, are chemicals and pollutants that are emitted into the air from flooring and the materials used to install it. VOCs pollute the air inside of homes and can even cause health issues for inhabitants. In the past, most flooring materials had high VOC emissions because not much was known about them. This is becoming more widely addressed, though, and most flooring store professionals can help you find flooring that will not affect your indoor air quality. Even if a flooring material is not natural, locally produced, or sustainably sourced, the durability of the flooring can still make it a somewhat eco-friendly choice. Saving on having to replace the flooring for many years can save natural resources, save manufacturers from having to produce the flooring, and save you from having to procure tools and other materials needed for installation. By investing in good, solid, durable flooring, you may do your part in helping the environment. To find out more about eco-friendly flooring options, call 407-262-7979 today!